With age, skin loses its elasticity, sags and becomes lined and wrinkled. The fat underneath the skin descends because of gravity into the jowls, neck and the folds between the nose and corners of the mouth, often making people appear older than their years. A facelift in Toronto will restore the rejuvenated, attractive appearance of youth, while maintaining your natural expression. A facelift repositions and smoothes the facial tissues. Excess fat is removed, muscles are tightened, and the skin on the face and neck is re-draped, leaving scars that are barely noticeable. A facelift can be done alone or in conjunction with other cosmetic procedures in Toronto such as a brow lift, eyelid surgery, facial implants or nose reshaping. Facelifts in Toronto are very individualized procedures. 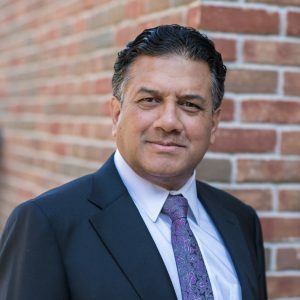 Dr. Kesarwani will recommend one of several different types of facelifts depending on your facial structure and goals – a “full” facelift where the skin and deeper layers are both lifted and tightened or a “short scar” facelift which involves a shorter incision and tightening of the deeper layers with sutures. We are combining facelifts with fat grafts to restore the fullness of an youthful appearance more often. A personal consultation with Dr. Kesarwani is the first step toward reaching your goals. During the consultation, he will evaluate your face, discuss your wishes and will take the time to answer your questions and address your concerns. You’ll have an opportunity to see examples of his work and develop a plan that is right for you. If you’d like to learn more about the Face Lift procedure, contact cosmedical in Toronto now to book your confidential appointment with Dr. Kesarwani.